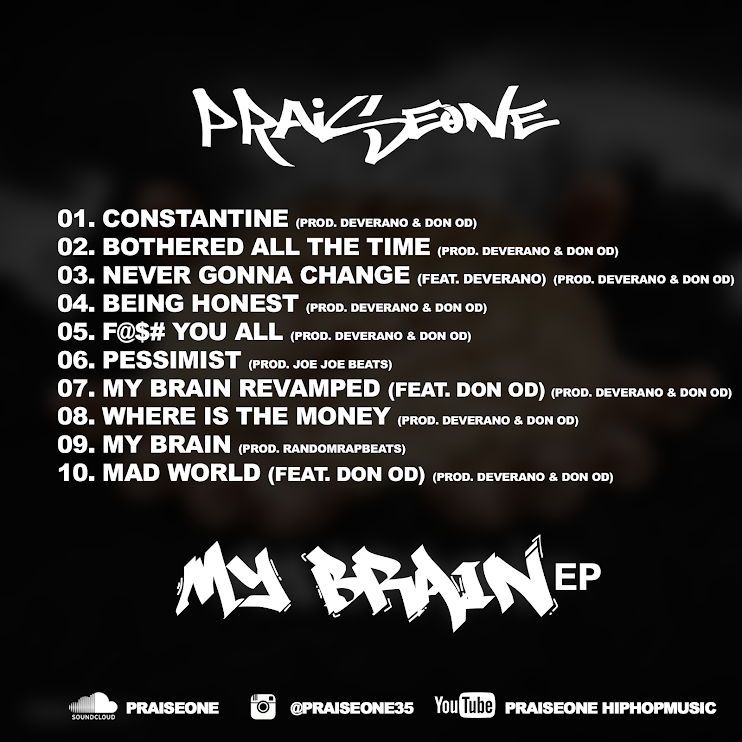 What inspired the title 'My Brain EP'? I wrote every song acapella at first then I met my two older brothers Deverano & Don OD and they produced 8 out of the 10 songs the song Pessimist was produced by my bro Joe Joe Beats for those of you who don't know Joe Joe has produced 9 songs for Dave East and his song The Hated made it to the latest UFC game so shout out to him!!!!! !